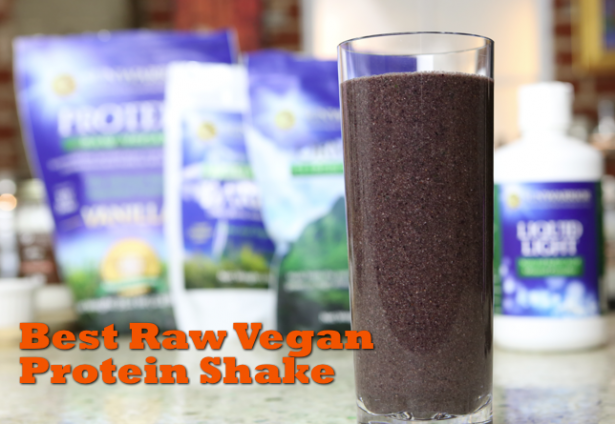 Here is the recipe for my favorite raw, vegan protein shake. This is the drink I use as a meal on-the-go when I am short on time but want to be high on superfoods. That is why Sunwarrior gives you 30 days of support with videos like the one above. Chefs show you how to make the meals. Fitness pros give you video coaching on the workouts they teach you. AND… You have Q&A support in the members only site. It’s easy and it’s cheap right now with the Early Bird discount. hello I was happy to see your email today, just to mention a little about myself, I weight 250lbs and desperately want to take the weight off. I am a vegetarian, and not a very good one. I have been eating dairy, and especially cheese, along with junk foods, I am always hungry. I now realize that I have to change my diet, and include lots of protein, I am striving to become vegan. I was told for my BMI that I need at least 150 grams of protein per day. I want to try herbal life, but they are so expensive. Please help with any advice. Thank you for the tip on putting the pricey supplements into the blender first, great idea! I need to add some of these supplements to my wish list. By the way, love the design of your chef’s jacket! Thank you. That pricey-stuff-first concept has saved me tons! I’m glad you see the benefit in that. Thank you also for the complement on the jacket. I’ve been feeling like I’m wearing a box, but this type ties in the back and allows a little shape. Nice of you to notice. Thank you for sharing your story. Know that it can all melt away effortlessly if you trust REAL unprocessed foods to nourish you. Check out Phillip McCluskey’s story for some MASSIVE inspiration. You are here. You want change. You are already headed towards your success and you simply need to keep turning the pages of your own story until the story goes the way you envision it. I can’t give you nutritional counseling in this environment. I will say that I cannot see a need for that much protein- but again it takes a detailed assessment to calculate the needs of an individual. Feel free to reach out to me using the contact form if you’d like to know more about the services I offer.